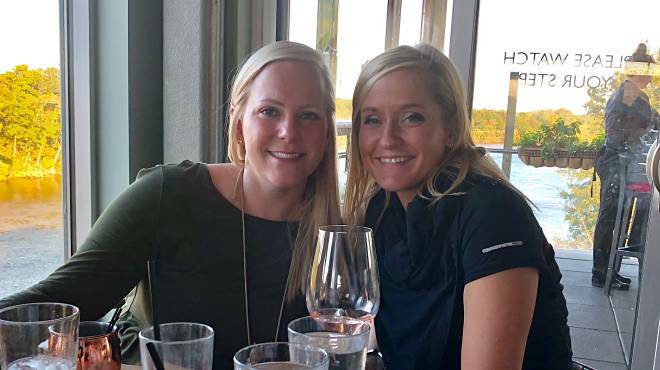 Hygienists Nan Katherine and Hannah enjoy helping young adults with good dental habits and beautiful smiles. 18 to 30 year old adults don’t often worry about teeth… but they should. At Cranford Dental we help older teens and young adults establish healthy dental habits. We are proud of our dental hygienists and the dental care training and advice they give our patients at cleaning appointments. No matter your age, keeping your mouth healthy is essential to living well. If you establish good dental habits now, you will have less to worry about in your middle and late years. Here we encourage 18 to 30 year old young adults to manage their dental health. Taking good care of your teeth now is an investment in your long term health and appearance. You have finally set out on your own. Maybe you just turned 18, left your parents’ house, and got your first job. Or perhaps you graduated from college/graduate school with a mountain of debt. For the first time you have bills to pay. Why should you visit your dentist? Why spend money on your mouth? Healthy dental habits may actually make you money in the long run. People with a good smile are more likely to find and keep success in their job and social lives. Think of your mouth as the billboard of your face. When you meet someone new, you want to be able to smile without shame. Your smile is a message to everyone you meet. and you want that message to be positive. Our advice to young adults: Begin dental care habits which will assure a nice smile now and for a lifetime. Another important thing to remember is that dental problems are uniformly progressive. This means that if you don’t take care of the small problems now they will turn into big problems later. A cavity is a simple thing for a dentist to fix and is relatively cheap. However, an untreated cavity will progress into a much more difficult and much more expensive problem in the future. Cavities start on the surface layer of the teeth (the enamel). They then progress into the base layer (the dentin). These deeper cavities will need a more extensive filling and possibly even a crown. If decay progress further it reaches the center of the tooth, infecting and damaging the blood and nerve vessels that support the teeth. That means you will need an expensive root canal and crown. A lingering, untreated infection can progress beyond a single tooth, causing bone loss and eventual tooth loss. Your only options at this point are to get an implant or denture. Our advice to young adults: Take care of dental problems immediately. Avoid the financial and emotional stress that dental problems may cause in the future. Regular dental appointments will help you maintain good dental health. No matter how well you brush your teeth you will inevitably have some plaque build up on your teeth. Persistent plaque makes your teeth more likely to get cavities. It can also lead to permanent discoloration of your teeth. Your dentist will also check for signs of Periodontal Disease at your checkups. Periodontal Disease exhibits as puffy, bright red gums that make your mouth look unhealthy. Untreated, this can lead to bone loss, tooth loss, and systemic infections. Read What to Expect at your First Hygiene Visit to make yourself comfortable with scheduling an appointment at our office. Call Cranford Dental at 803-324-7670 if you have questions – or contact us online. Our advice to young adults: Schedule regular dental visits. Checkups will allow your dentist to find small problems before they get bigger. A well maintained mouth is a symbol for a well maintained life. If your smile looks good you are more likely to get hired for a new job or get a promotion at your current one. When you interview for your next job, you will smile if you know your teeth look good. You will appear confident and approachable. Again, think about your mouth as a billboard. You want people to see your billboard and then want to be with you. A nice smile will attract friends. You may even have an easier to get dates! The condition of your teeth doesn’t affect only your dental health. Persistent infections of the mouth can spread to other organs. Dental infection has also been linked to an increased risk of heart disease and other health problems. It is easy for people in their 20’s to avoid thinking about the future. However, every decision you make ripples forward in your life. This is especially true of dental health. If you eat unhealthy and don’t exercise, you are more prone to heart disease. If you spend every dollar you make, you can’t adjust to an emergency or buy a house. If you don’t take care of your teeth when you’re 25, you may not have teeth when you are 70. Once a tooth is gone it is gone. No dental procedure can perfectly replace the look and feel of your natural dentition. Begin a dental health program while you are young. This will assure that you will keep your teeth for a lifetime. It will also give you the confidence that comes with a good smile and healthy teeth. 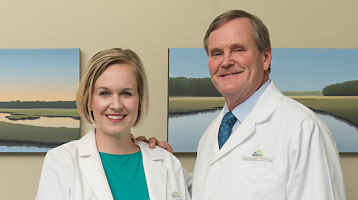 Call Cranford Dental at 803-324-7670 or schedule an appointment online. We will get you started on the path towards a healthy mouth. We enjoy establishing long term relationships with young adults. We will start a dental health plan and help you maintain it for years to come.